Could Japan's Fukushima Radiation be Mutating Vegetables? Unless someone is really handy with photo-shop, some of the mutations are hard to dispel. 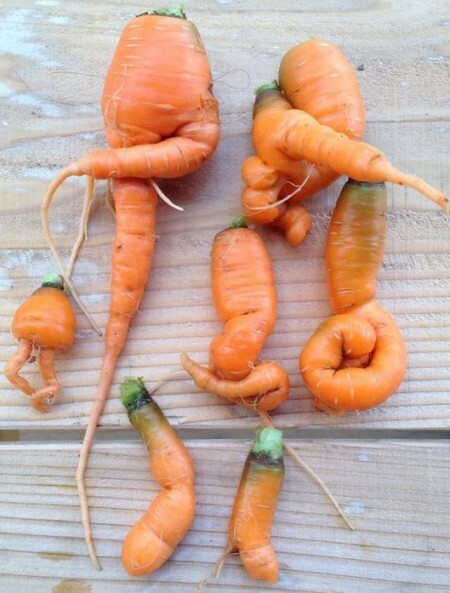 (It’s also true that many vegetables sprout on their own with less-than-appealing aesthetics, leading to many “ugly” carrots being used to create the cute and perfect baby carrot). But ocean life has been affected by the incident, as have numerous plants and animals – so these mutation possibilities are real (though many could be fake, admittedly). You can see pictures of bags and bags of contaminated, irradiated soil outside the Naraha-Minami school near the Fukushima Daiichi nuclear power plant, so of course it makes sense that animals and plants would be affected. The question remains: how much soil, air, and water was affected and how large is the radius which people should be concerned about? 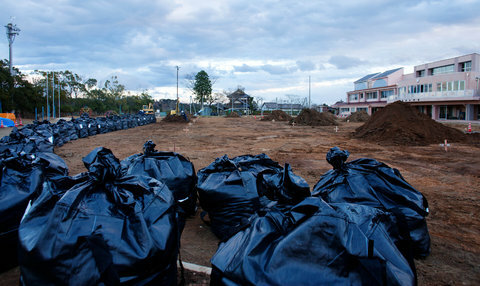 The US Department of Environmental Conservation has its own protocols for dealing with contaminated soil, but considering how poorly the incident was dealt with in Japan under the pressure of secrecy and world-wide pressure, it is likely that much of this soil has not been bagged up and stored in a place that will keep it from leaching into the ground, contaminating water, air, and more soil. Then, when you consider the track record of the U.S. government to clean up anything properly – they have allowed Monsanto and biotech companies to dump poisons on their own land for years. Going further, add the fact that a US-based company, Decision Sciences International Corporation, will supposedly continue to help clean up the Fukushima site. 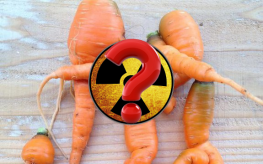 It behooves us all to continue putting pressure on government and environmental groups to do more – freaky-looking carrots or not. We have bizarre looking apples and Myers lemons this year (Dec. 2017) from the completely organic fruit trees in our yard in California, that we’ve never seen before. I’m not posting pictures of them because people will think they’re photoshopped. Our apple tree bloomed a second time this year and the second one created teeny tiny apples, some just a few mm across which we cannot recall having seen before. I’m just watching and waiting to see what happens next. 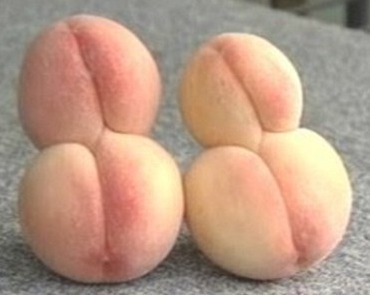 It’s important to remember that fruits are the ovaries of trees and plants.